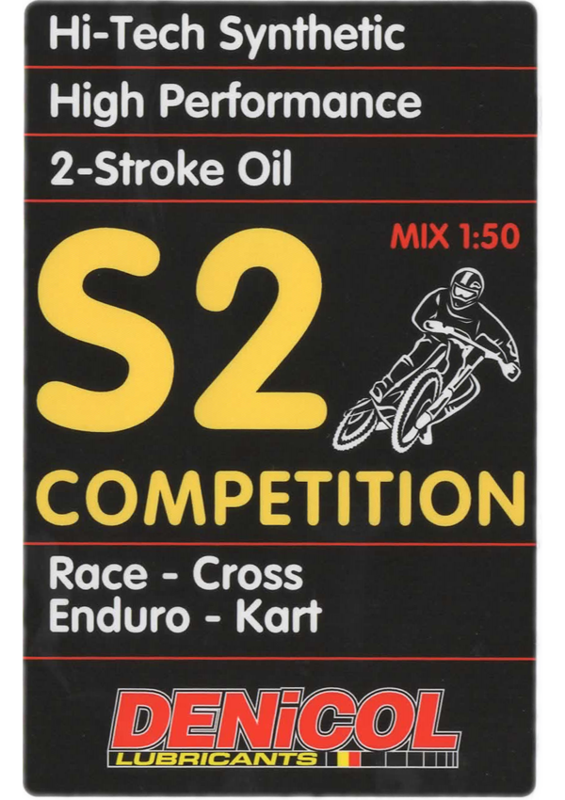 A superior quality, synthetic 2-stroke racing motor oil. 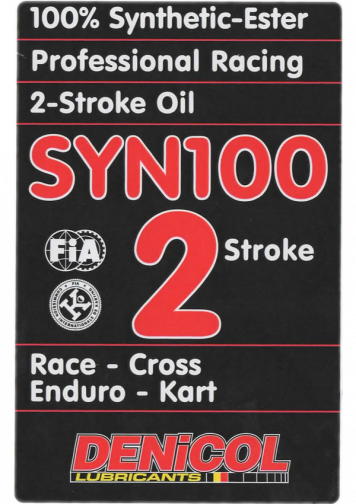 Synthetic base oils and a specially developed additive system provide optimum engine performance even under the most severe racing conditions. Prevents ring sticking and scuffing and keeps the engine clean. Tinted blue to aid identification to treated fuel. Used in competition, motorcross, race, karts, etc. 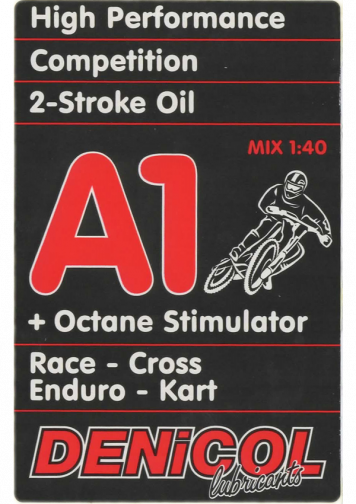 Non-prediluted, do not use in oil injection systems. Mixture ratio 2 % (1/50).